The end of the year is upon us, with the holiday season rapidly approaching as the countdown to a new year begins. Walt Disney Animation Studios' is celebrating the arrival of 2016 in a unique way, debuting a new poster for Zootopia, while also launching a Tumblr page that highlights this animal world's countdown to Zoo Year's Eve, when a special surprise will be unveiled. This Tumblr page also includes a few movie parody posters, for some of the biggest blockbusters in this animated, animal-filled world. The parody posters include Star Wars: The Furce Awakens, Ex Yakina, Cinderelephant, Fifty Shades of Prey, Straight Otter Zootopia and Giraffic World, which poke fun at some of this year's biggest movies. Some of the other top movies that didn't receive posters include Avengers: Age of Bulltron, Pig Hero 6 and Pitch Purrfect 2. Hopefully we'll get to see a few fake trailers for these movies, to go along with the fake posters. Shakira, Idris Elba, J.K. Simmons, Nate Torrence, Jenny Slate, Tommy Chong, Octavia Spencer, Bonnie Hunt, Don Lake, Alan Tudyk, Tommy Lister, Katie Lowes, Jesse Corti and John Di Maggio round out the supporting voice cast. It was also announced last month that Michael Giacchino will provide the score, his first collaboration with Walt Disney Animation Studios. The studio will also release another animated adventure next year, Moana, arriving in theaters one year from today, starring Dwayne Johnson. Zootopia is directed by Byron Howard (Tangled, Bolt) and Rich Moore (Wreck-It Ralph, The Simpsons), and co-directed by Jared Bush (Penn Zero: Part-Time Hero). The screenplay was written by Jared Bush and Phil Johnston (The Brothers Grimsby), with Clark Spencer (Wreck-It Ralph, Lilo & Stitch) serving as producer. The studio has set Zootopia for release on March 4, 2016, putting it up against London Has Fallen, Me Before You, Desierto and the Untitled Tina Fey - Margot Robbie - Martin Freeman Project. 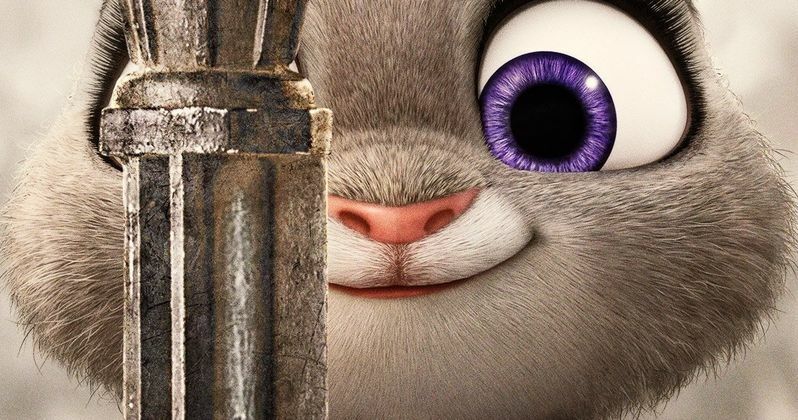 Take a look at these new posters for Zootopia.